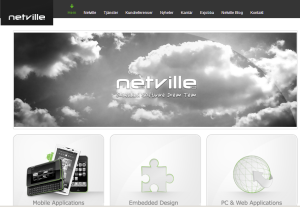 Netville provides expert consulting within embedded systems, mobile devices and Web services. Abiro packaged offerings related to mobile applications, including making specific data sheets and pre-sold such offerings to multiple customers. Netville has also acted as a broker for development consulting work performed by Abiro.